The conference is designed to provide a historical context for the use of terracotta and faïence in architectural structures and the latest information on the restoration and refurbishment of buildings bearing these materials. It will also, importantly, promote the use of terracotta and faïence in contemporary new-build projects. Leading practitioners in the field of architectural conservation; the manufacture of terracotta and faïence; and designers of new-build construction featuring these materials will be among the panel of speakers. 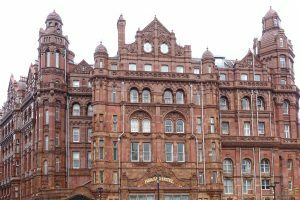 The conference will include a tour of some of the most important buildings in central Manchester as well as a visit to a major manufacturer of both conservation and new-build architectural terracotta and faïence.